If I pay Freedom Tax Relief for services rendered and they don't save me any money can I get a refund? IRS debts can be resolved with one of five options. Freedom Tax Relief is a good firm with thousands of clients. Freedom Tax Relief is rated by the Better Business Bureau. Thanks for the question. I will try to answer your specific question on Freedom Tax Relief, then give you some information on Freedom Tax Relief and on IRS debt resolution options. If you are curious, I will also give you some additional details on Freedom Tax Relief and also on your IRS Debt options. IRS tax debt has become a serious problem for many Americans, and unlike other forms of debt the IRS is aggressive and has more options to collect -- so you should address the problems quickly and resolve them. I’ll try to help you evaluate if Freedom Tax Relief is the right option for you by giving you some thoughts on tax debt and on Freedom Tax specifically. First, to answer your question: Freedom Tax Relief is a good option if you are seeking a firm to represent you and help you resolve your IRS debts. They can help set up an installment agreement, work to qualify for an offer in compromise, or get you compliant (by pulling SFRs and filing back tax returns). Freedom Tax Relief has been in business for many years. It appears to be a good firm with thousands of clients. Freedom Tax Relief appears to be one of the larger firms, and has a low complaint ratio. This means FTR takes care of its enrolled clients. The founders of the company are Stanford Business School alumni with backgrounds in the financial services industry. Freedom Tax Relief is a member of, and is rated by, the Better Business Bureau (BBB). Most importantly, Freedom Tax Relief has helped many Americans resolve their IRS debts and looks to be an ethical operation that helps consumers deal with complicated IRS and tax debt situations. An agreement to settle the debt for significantly less than is owed via a lump sum payment or a brief installment plan. A monthly payment plan for the full balance of the IRS debt. A monthly payment plan for a portion of the tax debt. An agreement by the IRS not to seek collection of a tax debt for a specific period of time. An order to discharge all or part of your IRS debts under chapter 7 or 13 bankruptcy. 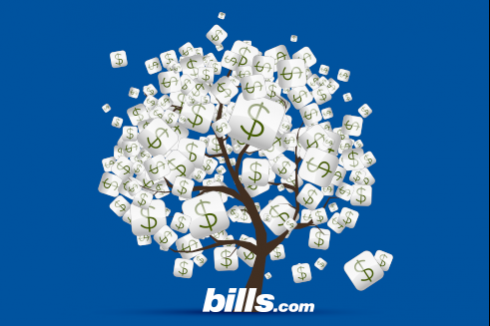 You can also read much more on the Bills.com IRS Debt Help page. So, Freedom Tax Relief (a subsidiary of Freedom Financial Network ) is a great choice for you! In the spirit of full disclosure, we do consider Freedom Financial Network and its related entities as sister companies and think very highly of the teams at Freedom.